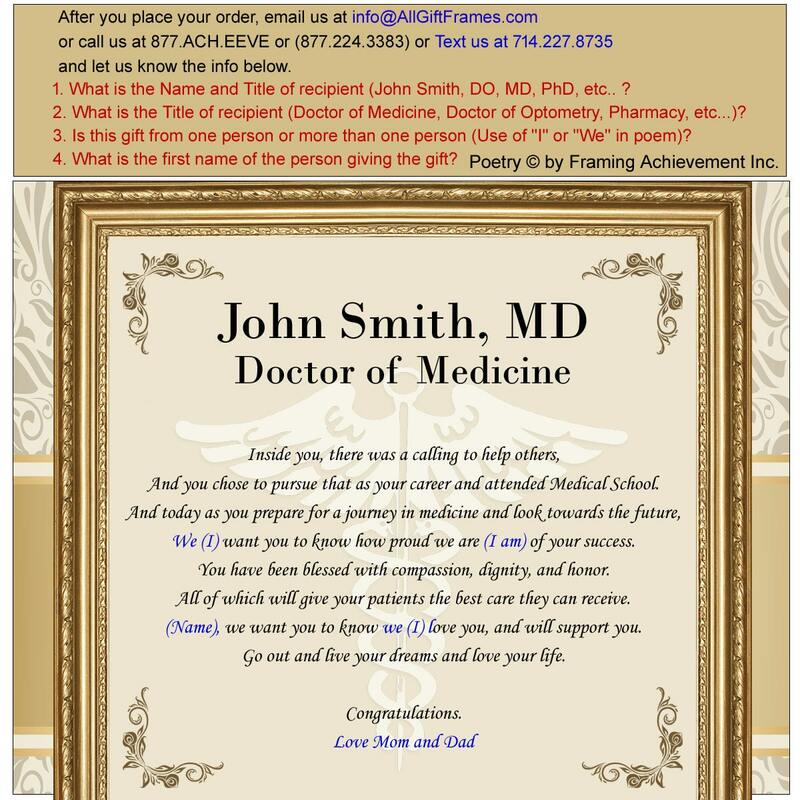 Celebrate your university medical graduate with our personalized poetry desk clock. 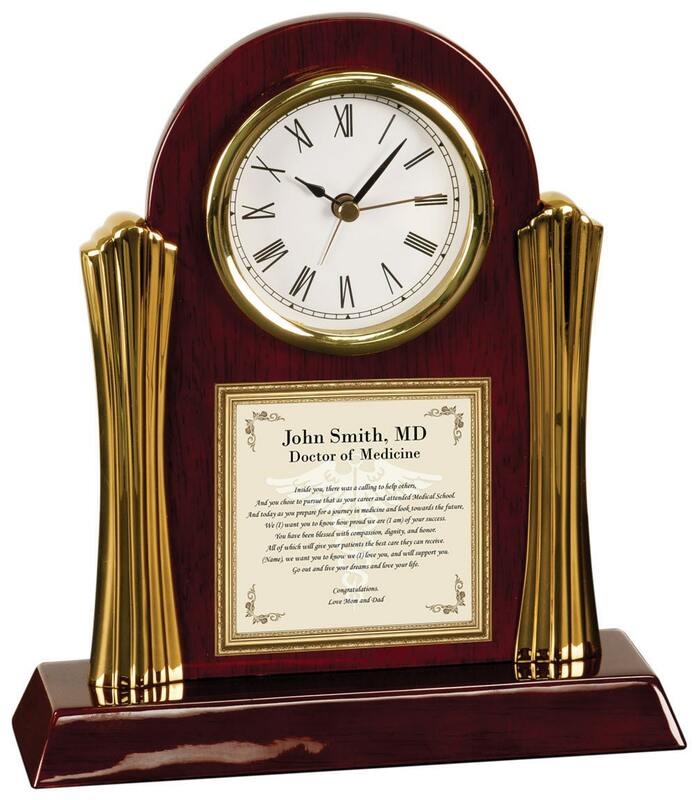 This personalized medical caduceus desk clock is masterfully crafted out of rich cherry wood with gold columns. Elegant Roman numerals, a second hand, and deluxe quartz movement complete its display. 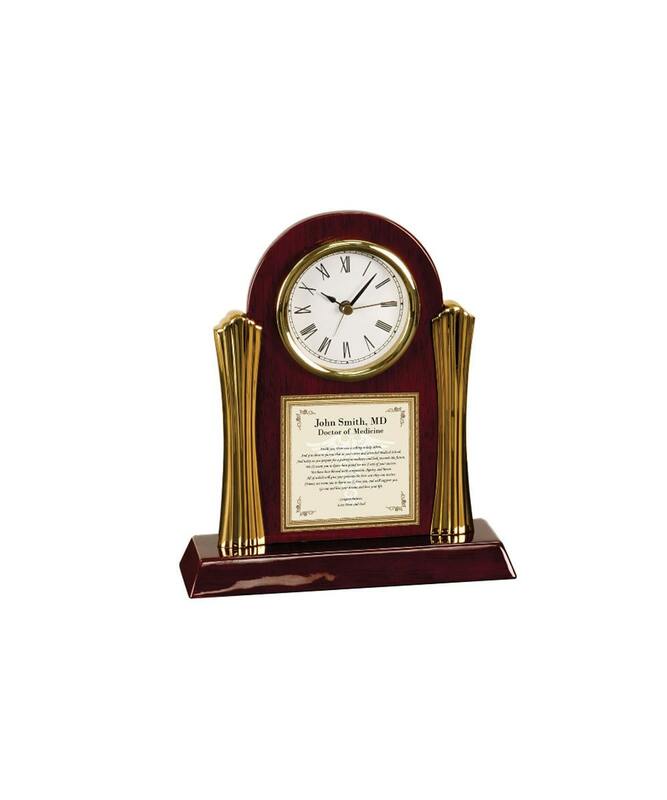 A handsome college graduation gift desk clock decor for any setting. Whether a graduation or birthday, this personalized poetry clock gives a feeling of nostalgia and elegance. This school of medicine graduation poem imprinted on the body of the clock compliments the traditions use of contemporary designs. This poetry clock beautifully highlights the meaningful poem message that have sentimental value to the recipient. By fusing an graduation poem into a table desk clock with a touch of personalization, the end result is a really nice distinctive and unique anniversary gift for the medical school graduate.